At Rhodeside Auto Tune, we just don’t do Uni-Chip tunes – we also do VCM Suites suitable for Fords and Holden. 19th September 2017 – A 2016 Toyota Landcruiser 200 Series on the dyno for fitment of a Uni-chip with 5-way map select switch. 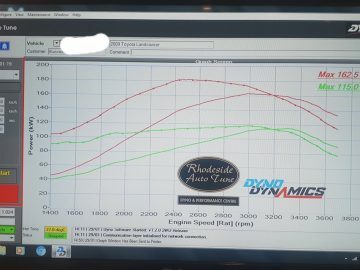 On 19th September 2017, we had something a little different on the dyno. 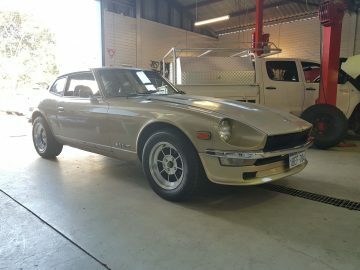 A Datsun 260Z, 1977 with a L28 motor. 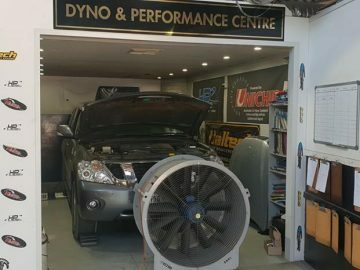 On Friday the 15th February2019, we had a Nissan Patrol Y62 in the shop for a Uni-Chip and Live Tune on the Dyno!